Analytics are one item that every site owner should be looking into to find out where traffic is coming from and how users are interacting with the site. However, analytics can sometimes be to much to consume with to much information or a cluttered interface. Fortunately there are many analytics packages available that make reading and understanding your site’s stats pretty simple. You shouldn’t need to be a geek to just pick out the basics. Here are 5 analytics packages that are easy to understand and mostly free. Great user interface with graphs, bar charts and color coded %s to make understanding the information quick and visual. 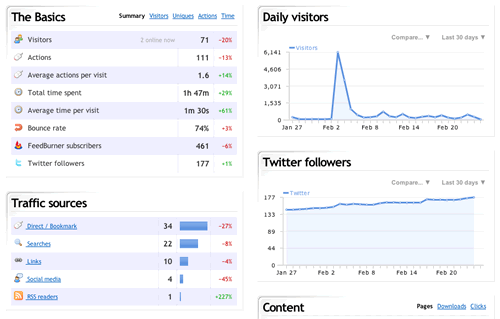 Clicky also integrates Twiter and FeedBurner stats to monitor the growth of those services. We’ve debated content vs links as it relates to SEO as well as the general merits of content in online marketing for several years on this blog. Most of the advice about content optimization comes from a search engine optimization perspective, or at least, from SEOs. I decided to reach out to a good number of people that work mostly on the content side of internet marketing to get their opinions of the interplay between content and SEO with a strategic perspective. Five of those content marketing smarties are featured below including: Jon Wuebben President/CEO of Custom Copywriting and author of “Content Rich”, Heidi Cohen, President of Riverside Marketing Strategies, Adjunct Professor at NYU and Columnist at ClickZ, Joe Pulizzi, founder of Junta42 & Z Squared Media and author of “Get Content. Get Customers”, Heather Lloyd-Martin, President/CEO of SuccessWorks and Sally Falkow, President of Expansion Plus, Senior Fellow at the Society for New Communications Research. 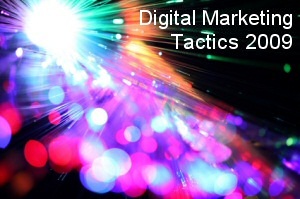 We’ve run several Reader Polls on favored internet marketing tactics over the past year and a half flavored by a sentiment towards recession and also as a general indication of future plans. The state of the world and certainly the marketing world is as unique and challenging as it’s ever been. Many companies and vendors are scrambling to figure out how to make most efficient/effective use of resources to grow their businesses in this uncertain economy. UPDATE: Most of the services on this page published in 2009 are no longer active. Such is the nature of social media tools. I have disabled the links but am keeping the content as an archive of the types of Twitter tools that once existed. With the release of WordPress 2.7, one of the features was the built in auto update functionality. Since WordPress 2.7.1 was just released, I put it to the test and it was extremely easy. 2. Login to the WordPress admin and click the “Please update now.” link. 3. Click the “Upgrade Automatically” button. WordPress will then do it’s thing and you’ll be done in seconds! Depending on your install, you may be asked for the FTP password or could possibly even be told you can’t use the auto update. Different hosts allow different scripts like this to run. Search marketing has been known as recession resistant because so many companies shift or increase internet marketing budgets there in good times and in bad. When other marketing and advertising channels don’t hold up to ROI scruitiny, tactics like SEO hold up rather well. Sage advice on how to execute on this insight can be found at “Recession Proof Search Engine Optimization Tips“. Another channel receiving budget attention even while marketing costs are being cut or shifted is public relations – especially with B2B companies. A recent story in BtoB Magazine, “Marketers stay in the conversation with PR” tells the story of a company that relies on case studies as part of their PR efforts. Since many of their customers conduct research as part of the sales process, the case studies promoted via PR efforts are an instrumental part of their ability to attract new customers. There are many ways to analyze the effect of blogging with Google Analytics ranking at the top for most due to the pricetag of free and robust features. As the social web continues to grow and become central to the internet experience, analytics and social monitoring software will HAVE to converge to measure on and off page interactions. 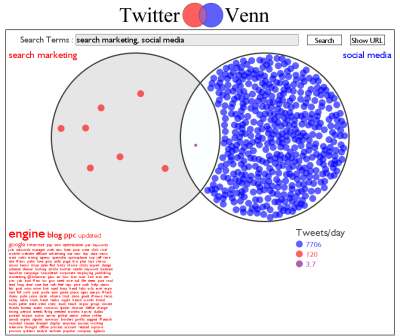 We don’t have that quite yet, but here are a number of other blog analytics tools that offer rich visualization and real time reporting features that are worth a look. 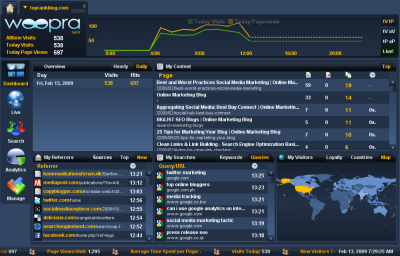 Woopra is a desktop client but also offers web based visibility to reporting. The interface is not only visually appealing but offers an entirely different format for viewing interactions with blog content and in particular, information about visitors. Social media is hot, just take a look at Google Trends to see the comparison between topics like “search marketing” being eclipsed by “social media” in terms of search volume and news references – at least according to Google. Along with all that “hotness”, there’s good and bad when it comes to the way companies are beginning to engage social media channels. 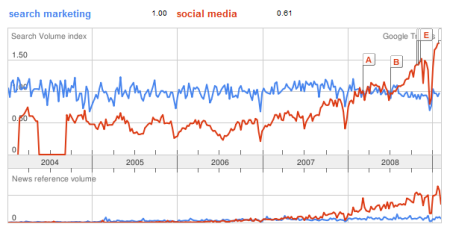 On Twitter, the difference between mentions of “search marketing” and “social media” are even more pronounced. Of course this is by no means a formal assessement, but it gives you an idea of what people on the web are paying attention to and in some cases, what they expect. 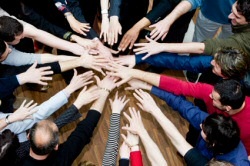 Whether you think “social media” is an overused term (yes, it is) or it’s a fad, or the evolution and revolution of the web, you don’t have to look far anymore for abundant examples of how companies, organizations and the U.S. Government are going social. Social media can involve a variety of platforms and media ranging from social networks to blogs to image and video sharing. These forms of social technologies have been in use for years, individually and together in the form of integrated social media marketing campaigns or social media newsrooms. With the release of WordPress 2.7 paged comments became a built-in feature. By default, they are enabled on both new installs and upgrades. Where it may be good for usability, it may not be good for SEO. 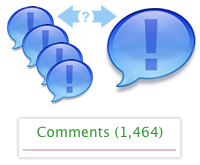 From a usability standpoint, paged comments are good for posts that get a lot of comments. By default, WordPress cuts them off at 50 comments per page. Users then don’t have to wait for over 100, or even 1,000, comments to load. Yes I have seen posts with over 1,000 comments. The time it takes for a page with lots of comments to load can be much longer than the user is willing to wait. Breaking them into pages speeds up page loading time and makes the site more user-friendly. Today’s BIGLIST update of search marketing blogs includes a smattering of agency blogs from the US and the UK as well as appearances from Poland and Singapore. Step right up and get your daily dose of SEO, social media and PPC with this collection of new entrants. The Whoa Factor – Brad Shorr and Jeanne Dininni write this insightful company blog (Whoast) about search engine marketing topics, especially SEO. Latitude Group – This UK based search marketing agency blog posts the gamut of internet marketing topics including Affiliate, Email, PPC, SEO, Social Media and Analytics. Company news and case studies can be found as well. Sazbean Blog – Sarah and Aaron Worsham post about a wide range of internet marketing topics including strategy, marketing, design, and technology in this well written blog that also includes a nice “Morning Edition” collection of links post.